We can't train everyone! Thanks to technology we can now offer access to our industry leading online personal training memberships. We have two different methods of training with us depending on your needs. Either bespoke memberships or "team" training. The Foundation is a small team of highly specialized and experienced health and fitness professionals who deliver effective health, fitness and lifestyle solutions to individual clients and businesses. The Foundations creator Matt Towers has been improving peoples lives for over 15 years. There isn't a lot that Matt hasn't seen or done in the fitness industry. From training athletes and fighters to competing in powerlifting competitions Matt has literally been there, done it and got the t-shirt to prove it. This wealth of experience inspired Matt to set up the Foundation to help raise the standard of personal training and health awareness in the region. 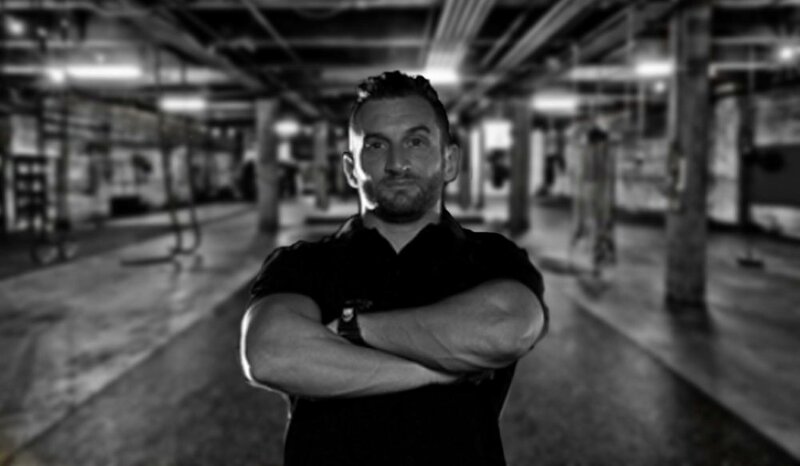 Matt is a fully qualified strength and conditioning coach and personal trainer with qualifications in sports massage therapy and martial arts. His approach to fitness is to teach correct exercise techniques based on a strong science-based foundation with a emphasis on structured variety and enjoyment. His Motto "What we do today echoes in eternity"
Jen is 27 from the UK and the other half of the Foundation-PTS. She is a qualified level 3 personal trainer and has experience working with both male and female clients with goals of weight loss, muscle building/toning and gaining strength. Jen also specializes in exercise for senior citizens and has worked with pre-natal clients. "I love meeting new clients who have the drive and determination to change their lifestyle for the better. I understand how hard it is to begin a regular workout regime and have the utmost respect for their decision to make a change. I work closely with each of my clients and design programs based on their goals and preferred training style. I push each individual to do their best and more in each session that we have together to achieve the best results both physically and mentally. One of my favorite quotes is “the mind will quit a thousand times before the body will” and I truly believe that having a good personal trainer to guide you through your workouts and push you beyond what you though you could do is worth the investment in your time and money." "It has been actually 9 months since I joined personal training sessions with The foundation having Jen as my personal trainer. When I first started, I was sure that i would commit for a maximum of 1 month as I used to hit the gym and loose interest in a couple of weeks. I was 82kg when I started and I was hoping to loose weight as soon as possible. The interesting part was the way i was introduced to PT. Jen explained to me how the muscles work and how the body reacts, so instead of working out just for the sake of imitating others, I started understanding my body more. 3 months later my shape changed dramatically though I was not taking care of my nutrition and honestly, the best part in this whole thing is that Jen has a way to make the training interesting through the variety of exercises she put into each training. I have done more than 100 sessions with her till now, and I can assure you that none of them look the same. I am 10kg less, have dropped 3 sizes, and I am still enjoying the sessions. I confess, I am not working towards a goal, I am just enjoying the sessions and feeling much better than when I started. Thank you Jen for making me choose training as part of my daily routine, and I truly mean it, you are my motivation." "I've been training with Jen now for about 6 months with a long summer break half way through and she has changed the way I view the gym! I now feel more confident in and out of the gym and feel so much stronger. Before I started training with Jen I had no idea what to do in the gym other than go on the treadmill. She has taught me the importance of doing weight training and shown me that weights are not solely to become big and bulky - they can help me become healthier and more toned! I now look forward to the gym rather than dreading it like I used to." "I started training with Jen slightly over 4 months ago in a bid to tone up generally, to shed some weight and to lose some of the fat around the waist area after several years of little, if any at all, physical activity. Though it has been a relatively short training period, the results we have achieved to date are largely due to Jen's perfect combination of diverse exercise programs, training methods and challenging yet achievable goals during each session, twice a week. Her passion to being in best shape herself at all times, her enthusiastic dedication to her team, commitment to her work and her inspirational motivation, in addition to her excellent humor and skills, provide the perfect scenario for success and set foundations for a new healthier lifestyle! I highly recommend her in every respect." THE FOUNDATION personal training solutions, Dubai, U.A.E.